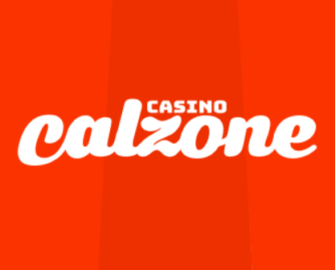 Casino Calzone – Weekly Promotions! Get spins on the Holy Calzone Wheels and Weekend Cashback! Cal’s casino took off just a few months ago but has proven to be a worthy and exciting addition to the online casino world. Cal, who is Sweden’s pizza kingpin, made the right decisions to operate Casino Calzone on the established and trusted MT SecureTrade platform, adding from the start a huge range of games to his portfolio, 24/7 customer support and great promotions. Not yet baking your lucky pizza at Casino Calzone? Then sign up now to enjoy their €450 Welcome Package and 150K in Cal’s Cash. Have you recently signed up to Casino Calzone? They were a breath of fresh air in the online casino world when they opened their doors a few wees ago with solid licenses, 24/7 customer support and a great choice of games from the best providers, all presented on a website fit for Sweden’s pizza kingpin. Additionally, we have seen the promotions page filling up nicely since their launch. Currently, there are two ongoing promotions that will reward players for their gaming at the casino. These wheels are the main part of Cal’s loyalty program where players earn reward points called Cal’s Cash for each bet they make on any of the games. Once they have accumulated sufficient points they can spend them on spins for the Holy Calzone Wheels. These are three wheels in bronze, silver and gold, each holding a range of rewards plus a giant jackpot, awarding a guaranteed win on every spin. Each Wheel has four slices to progress through with the center slice holding the jackpot. Players can buy multiple Wheels in one transaction at a discounted price. Free Spins won on any of Holy Calzone Wheels carry a 35x wagering requirement within seven days. Casino Calzone general and bonus terms and conditions apply. Players spinning on any slots at Casino Calzone during the weekend will receive cashback the following Monday. For any activity between Saturday 00:00 – 23:59 CET Sunday, they will receive up to 5% cashback on any dough burned during this period. Cashback will be paid by 18:00 UTC every Monday for the previous weekend’s activity. Cashback will be paid from minimum €10 up to a maximum of €1,000 per weekend. Minimum one deposit required during period. Bets with bonus money do not contribute. Cashback is credited with a 20x wagering requirement, subject to the Casino Calzone bonus terms and conditions. Launched in May 2017, the casino is operated by MT SecureTrade Ltd. under MGA Malta and UKGC licenses. On offer are a large variety of games on desktop, mobile and tablet from Netent, ELK Studios, igaming2go, Microgaming, NextGen Gaming, NYX, Play’n GO, Quickspin, Scientific Games, Thunderkick. The Live Casino tables are powered by Netent Live. Casino Calzone – Last 3 Days of Cal’s Xmas Calendar! 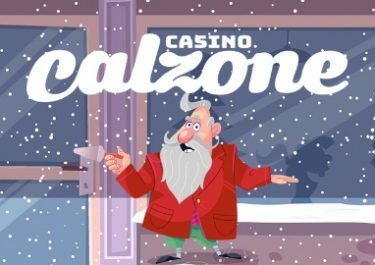 Casino Calzone – Cal’s Xmas Calendar – Week 3! Casino Calzone – Cal’s Xmas Calendar – Week 2!